Modern bathroom designs all include a modern bathtub as the focal point of the bathroom. Clean lines and flat rims help create a modern tub look while mainting the ageless properties of a deep soaking tub. 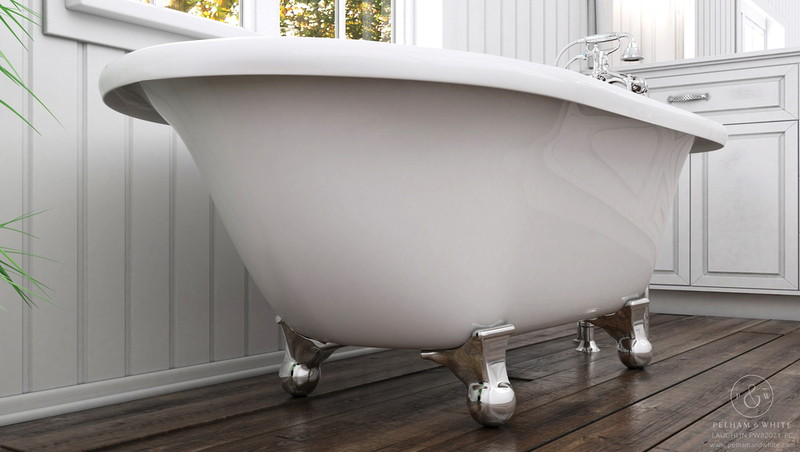 The modern bathtub design continues to evolve and in fact, many designers are now using a modern clawfoot tub to marry appealing vintage influence with modern features. At Pelham and White, we carry a variety of modern freestanding tubs and modern clawfoot tubs, all developed utilizing our high quality materials and innovative fabrication techniques.